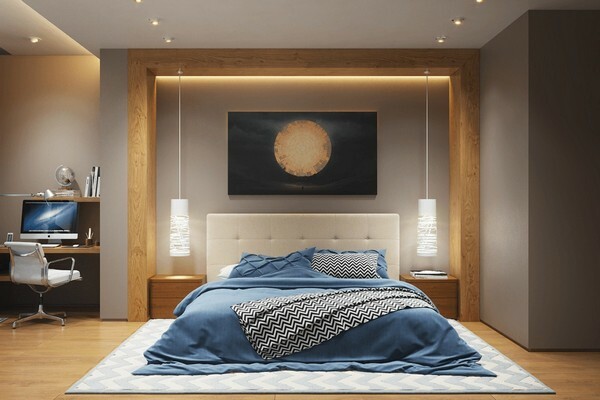 Modern interior designers have plenty of ideas for bedroom lighting. And this is quite reasonable. 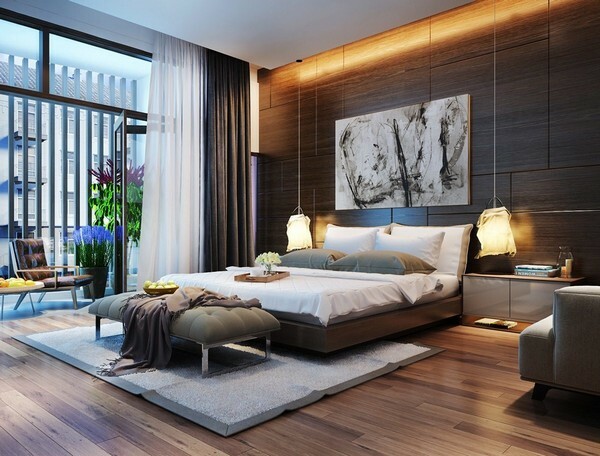 Bedroom is the most intimate room of the house – not every guest may get an access to it. It must be cozy at any time of the day, as well as soothing, romantic and a little bit mysterious. And, of course, it must be inspiring. Let’s see how different lighting fixtures look in modern interior design projects and how versatile their functions might be. 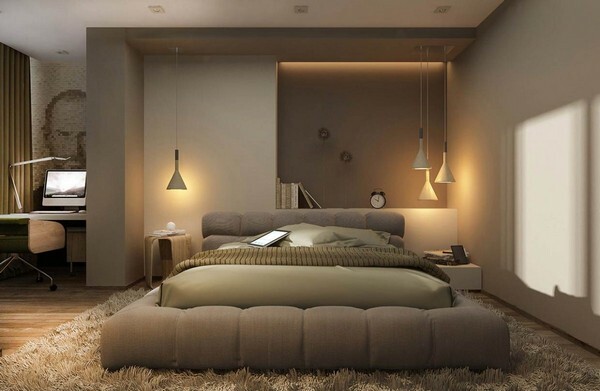 This bedroom certainly has ceiling lights, but they are definitely diffused and don’t attract much attention. 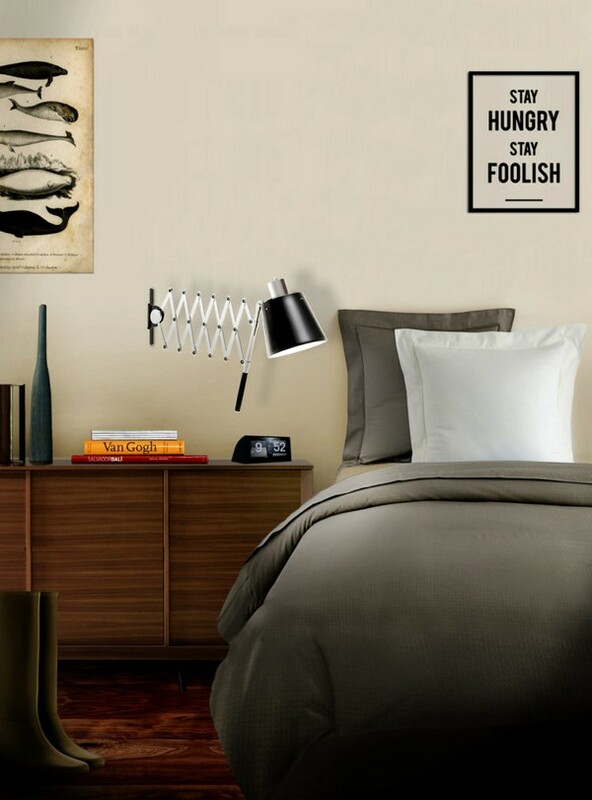 To the contrary, large bedside lamps do not just set the mood, but also serve as the key accent of the room interior. Textile bedside lamps are specially designed to create an eye-catchy contrast to the minimalistic interior of this bedroom. This moderate interior with cold color palette changes its mood for warmer and softer thanks to orange recessed lighting fixtures. 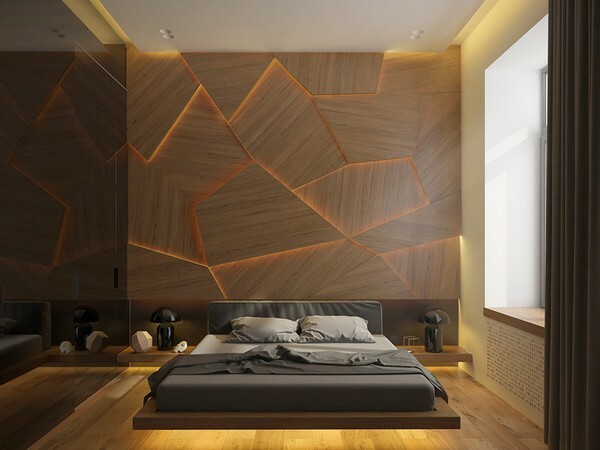 Here ceiling lights emphasize the headboard zone, literally turn it into a glowing screen. And a black bedside lamp by Vico Magistretti has similar color temperature. 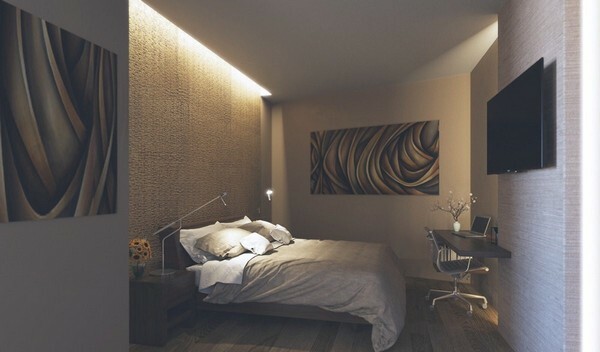 And again – accent lighting in the headboard area makes the sleeping place more expressive. 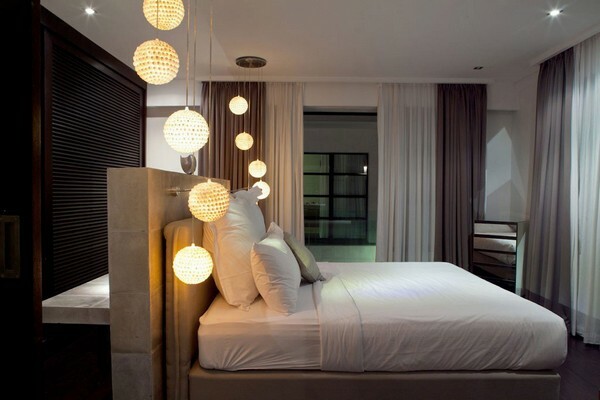 And floor lights make the bed and bedside tables seem to be suspended and hanging in the air. This is an option for rational pragmatists – simple, functional and with versatile rotation angles. 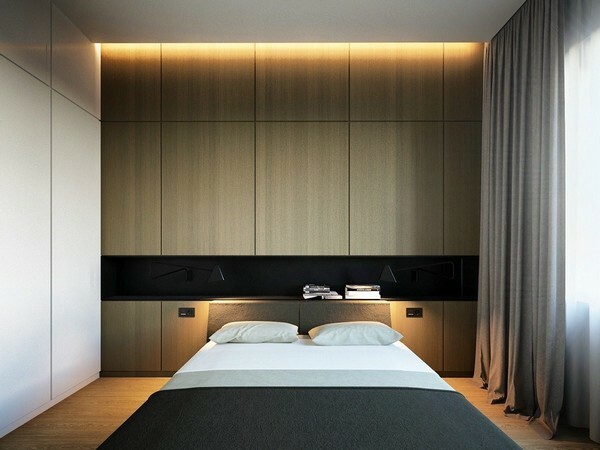 Lighting panels perfectly blend with the vertical headboard design creating the sense of clefts with rays of light breaking through. 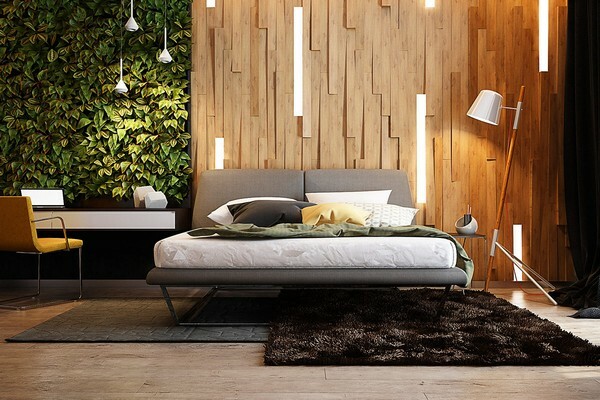 And accent lights in the work space highlight the living wall. 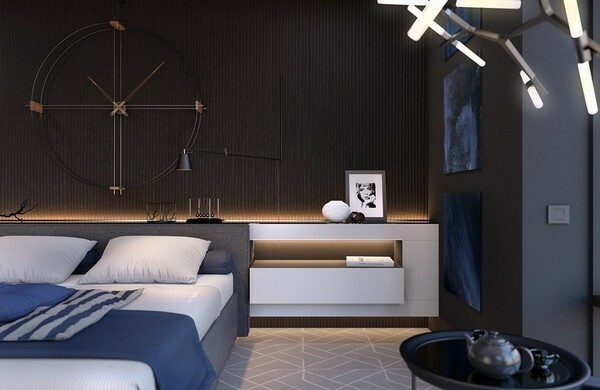 This bedroom interior is focused on geometry. Lamps work in the same direction – emphasizing lines, angles and niches. 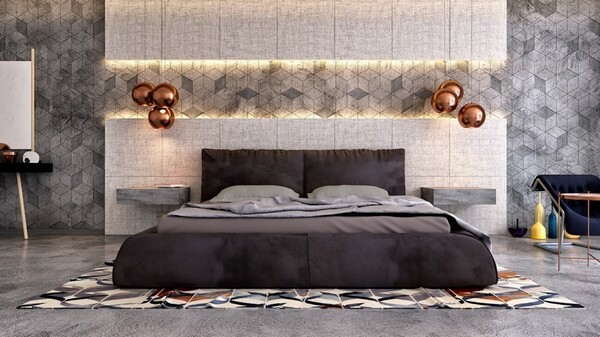 Copper lamps by Tom Dixon conflict with wall panels, LED lights and geometrical pattern on the walls, and this way become the centerpiece of the whole room. 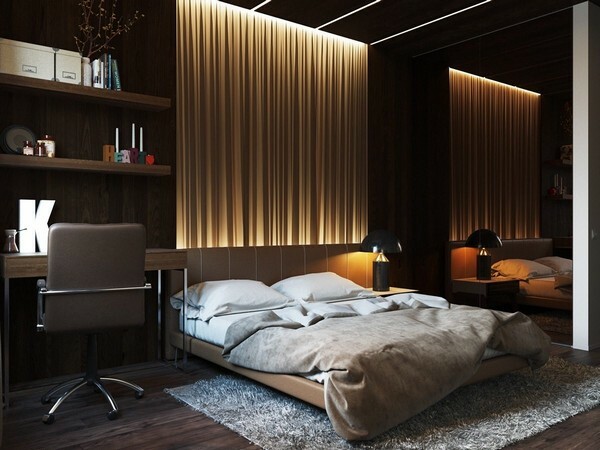 Choosing the right lighting mode for a bedroom becomes even more difficult when it comes to spaces with dark finishing materials. 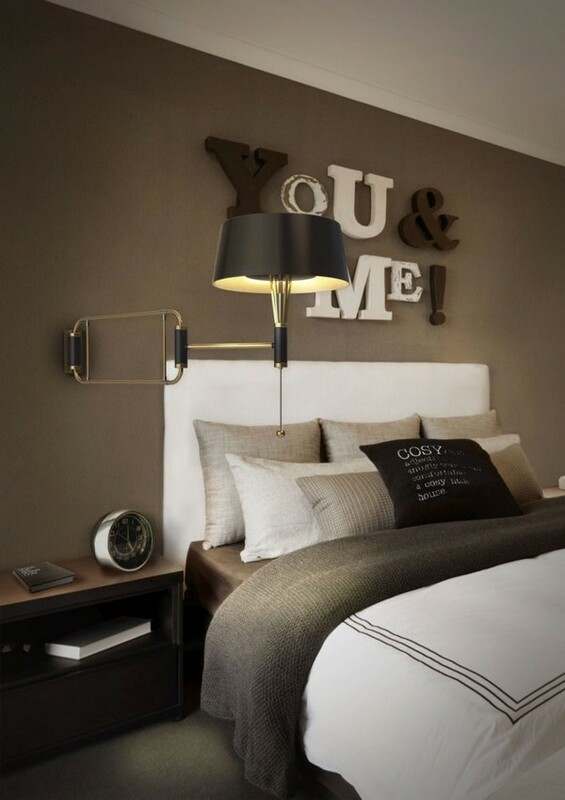 In this case everything is pretty balanced: illumination of the suspended bedside table, accent on headboard zone texture and Agnes lamp. An increasingly popular designer trick: C-shaped “frame” of the headboard zone is matched by the same illumination of the opposite wall. Please, pay attention that bedside and ceiling lights are arranged on the same level. Soft diffused light coming from bedside lamps in this room is designed to soften a concrete headboard and neutral interior color range.